As proven by the recently released gameplay demo, Cyberpunk 2077 is an ambitious project for CD Projekt RED. The intricate systems the studio has teased, such as character creation, seem to indicate Cyberpunk 2077 will utilize every ounce of power CD Projekt can pull from a platform. Unfortunately, due to hardware limitations, some features may get cast aside in favor of others. 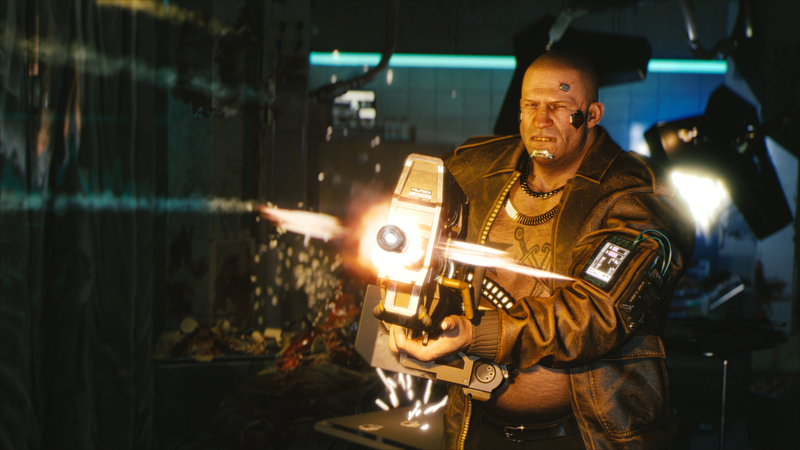 The game’s Level Designer, Miles Tost, told IGN that the studio is unsure of whether Cyberpunk 2077’s environments will feature full destructibility. Every platform only has so much performance. If you think about it, as a developer, how do you want to root this performance? Do you want to have more NPCs? Do you want to fill a large city space? Or do you want the environments to be more destructible? Do you want the lighting to be better, or do you want to have more complex AI. So we’re trying to push the interactivity of the world by adding in details from a physical side. The game will be highly physical, will have a lot of destruction. You can see that in the demo when you’re in the scavengers area and you shoot at the pillars and they start crumbling. This all is to add weight to the world. To really give life to our vision of what is very much a dark version of the future. The world of Cyberpunk is not a nice beautiful place, everyone happy. It’s inherently dystopian, and we want to portray this gruesome side of life, the reality of gunfights with super advanced weapons in a world where people augment themselves with arms and military level cyberware that just is there to kill people. Still, the limitations of current-gen hardware could derail some of the developer’s more intricate plans, where environmental destruction is concerned. Yes, the PlayStation 4 and Xbox One are incredibly powerful machines. However, technology ages quite rapidly. If a developer wants to add extra bells and whistles, it may come at the cost of something else. For instance, David Cage recently spoke about Detroit: Become Human’s not having a photo mode because the PS4’s limited memory wouldn’t allow it. With regards to Cyberpunk 2077, it’s possible CD Projekt will create fully destructible environments for high-end PCs or next-gen hardware. Should this be the case, there’s a long wait ahead to find out. Cyberpunk 2077 is currently with an official release date.